HOPE – Roofing replacements at Hope High School were approved by the Hope Public Schools Board here Monday night, as the board moves forward with an incremental series of facilities projects. 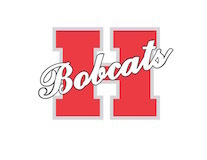 HPS Superintendent Bobby Hart said the replacement of roofing for the HHS Annex Building, Main Building Second Floor, and Business Building was the most pressing because of age. “These are the three that are necessary to do, right now,” Hart said. Total cost for the work is some $376,000, which will significantly reduce the district’s building fund, he said. Consequently, Hart did not recommend the proposed replacement of the HHS Science and Technology Building roof, which would require another $80,000-plus. Hart said he was more comfortable with maintaining a balance between $500,000-600,000 in the district building fund, despite the much smaller cost for the science building project. The board approved Hart’s recommendation to award the work to All Seasons Roofing, Inc., of Little Rock. He said the All Seasons bid was the best in terms of the need for the buildings involved, and was a state-qualified bid. “We feel that All Seasons is the best partnership and bid,” Hart said. Also Monday, the board heard a report regarding the pilot class planned for the Hope Collegiate and Professions Academy to open on the University of Arkansas – Hope campus this fall. He said the “pilot” class of 10th grade students for the eventual grades 10-12 college-ready academy will total between 22-25 members. An opening reception is set for July 24 at 6 p.m. in the Johnny Rapert Library Complex where the HCP Academy will be housed. Hart said the application for the full grades 10-12 academy is expected to be heard by the state’s charter school panel in October. --Approved an agreement with Banner Hope Center Day Camp, a program of the First Baptist Church, to provide educational services for the summer intervention program. --Reviewed on first reading a series of Arkansas School Board Association policy update recommendations. --Tabled a facilities use request for Pentecostal Temple Church of God in Christ church service on Sept. 2, pending more information on the facilities needed. --Approved a facilities use request for New Testament House of Prayer to host a vacation Bible school basketball tournament in Jones Field House at Hope High School. --Approved personnel recommendations, including the employment of an additional district social worker.